Our marmots on TV soon! 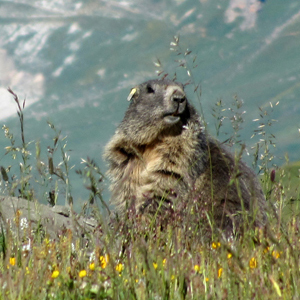 During June and July 2016, a film crew came at the Sassière natural reserve, to film our marmots in the context of a big movie project called ‘Aging in the Wild’. Our team introduced the fieldwork, talked about the sociality and ageing of marmots marmots and also their extreme environment where they live. Our marmots will come on Episode 3, the 15th of June 🙂 ! We hope that you will enjoy to see these series!!! This entry was posted on May 26, 2017 by marmotmarmota in Uncategorized.